Um apartamento ensolarado em uma fazenda. Venha desfrutar da nossa casa de hóspedes! Traga seu cavalo! Pode caber confortavelmente seis. A cozinha com todas as comodidades e uma mesa de pinho antiga é um ótimo local para desfrutar do café da manhã enquanto olha para as pastagens. Perto de todos os eventos locais horsing, polo, a 30 minutos do anel viário, mas sente um mundo de distância. A entrada do banheiro é no quarto principal. Por favor, note que este é o país e existem criaturas de todas as formas e tamanhos aqui! Os proprietários estão no local se algum problema surgir. Living in the country for a break! 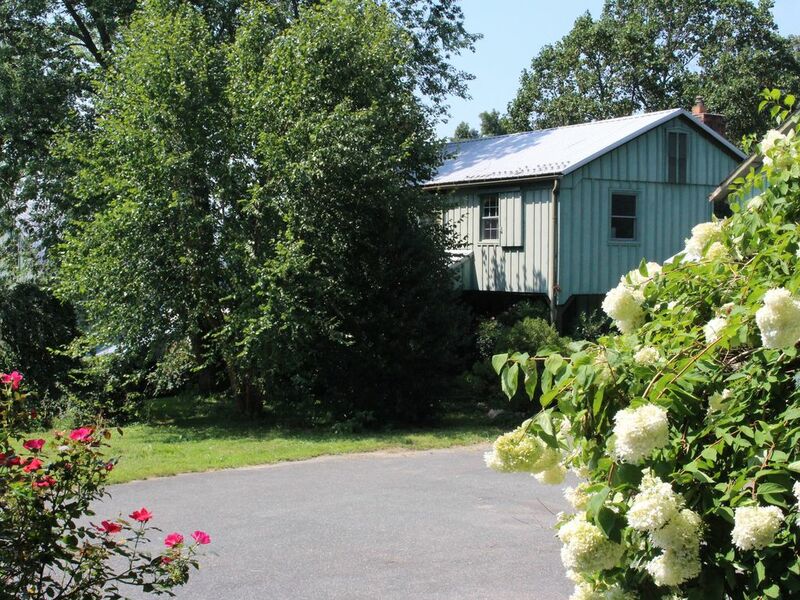 My husband and I rented this charming cottage for 5 weeks while transitioning into our new home in Maryland and it was so refreshing to be in the quiet countryside after living in a major city. The cottage is on the top floor of a building on the farm, has wonderful views of the farm and surrounding farms, and the stars at night are beautiful since there is little “light pollution”. There are goats and chickens, guarded by farm dogs, 2 of whom bark a lot but are wagging their tails at same time so they are not scary. Kitchen is a bit on the small side and there is only one bathroom which is off the master bedroom but since we were there alone, it was not a problem to schedule shower time. The owners shared eggs from the chickens which are so fresh we may never buy eggs from the grocery store again. Jarrettsville is a very small town but has some wonderful restaurants and homemade ice cream!